As anyone who lives in the Lansing area knows, abundant annual rain/snowfall can cause major water damage to homes and property. Homeowners are turning to basement waterproofing to protect their homes and property. Water leakage and flooding can cause foundation cracks, crawl space leaking, basement flooding, sump pump failure and mold issues. With so much risk to the value of your property and the health of your family, basement waterproofing is a must! 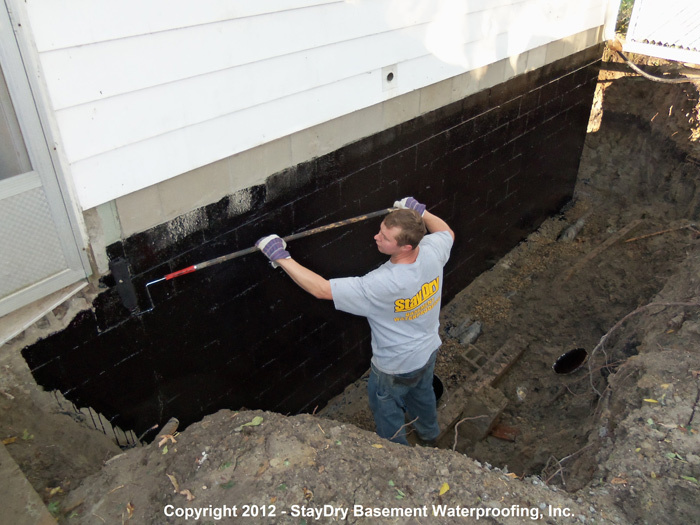 With 100+ years of service to the Lansing community, StayDry Waterproofing is leading the industry in protecting and repairing homes. 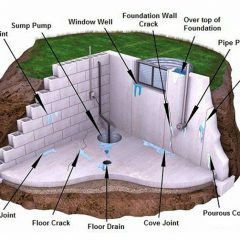 We offer: interior and exterior basement waterproofing, crack injection repair, foundation and crawl space repair, mold control along with many other services. Call our Lansing office at 1-800-STAY-DRY for your obligation-free consultation today! Even Michigan’s state capital is prone to large amounts of precipitation every year. This hefty amount of moisture puts many homes in the Lansing area at risk for flooding, especially during extremely wet years. Of course, when there is water damage there is also a host of environmental and structural hazards to be found. 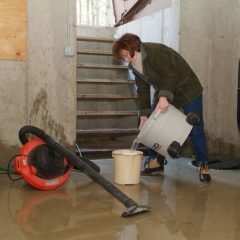 Preventing water damage and basement floods with basement waterproofing methods can end up being one of the best investments you make for your Lansing home. Much like the rest of the state, Lansing, Michigan suffers from the lake effect brought on by the Great Lakes. This makes summers hot, humid, and, at times, rainy. Winters, on the other hand, are usually cold with a heavy amount of snowfall. This sizeable amount of precipitation puts homes in Lansing at risk for flooding. Basements, when flooded, can cause structural damage and become a prime breeding ground for mold and mildew. 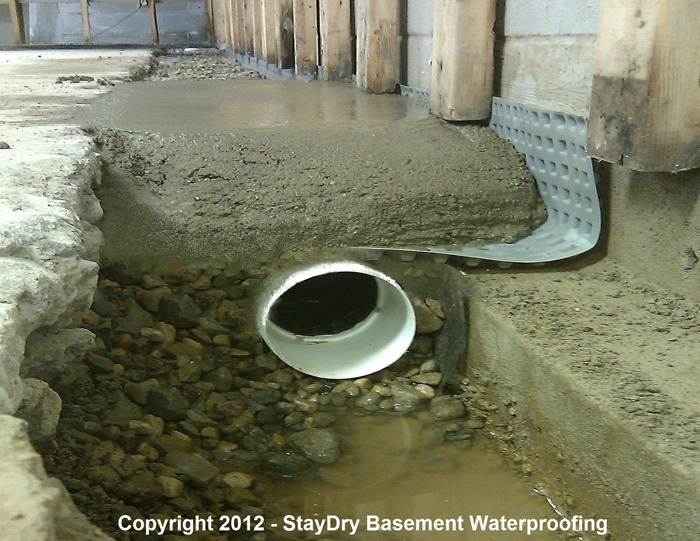 To avoid these adverse conditions and the hazards that accompany them, consider waterproofing your basement. 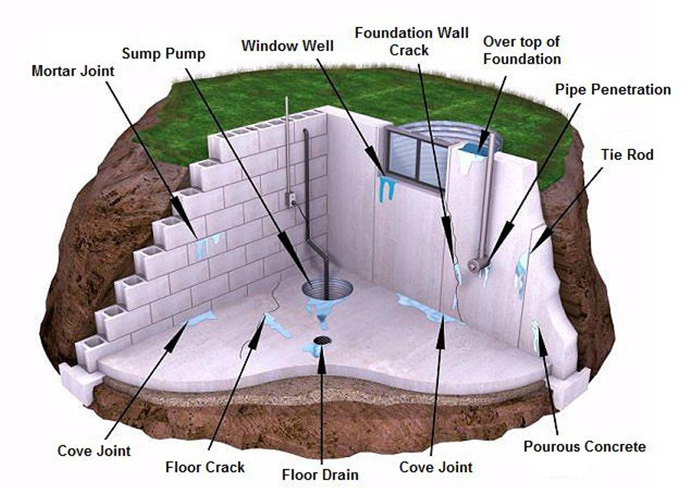 Additionally, we offer exterior basement waterproofing. This is more expensive and invasive than our other services, but is more effective at warding off water from entering the home. Better yet, all of our interior waterproofing services are backed by our fully transferable lifetime warranty! We have a water leak in the basement when it rained on Sunday. Need to find the cause and get an estimate. Moisture and foundation issues in basement. Persistent water vapor moisture and more noticeable leaks after heavy rains, suspect western wall of basement might need refinishing. When it rains heavily, water trickles into basement from the locations pictured. Lansing locals understand how harsh Michigan weather can be. Whether it’s rainstorms in the summer, or snow in the winter, the ground stays wet. This excess in humidity causes the soil around your basement to expand and crack your foundation. Foundation settling is normal. If the cracks are vertical, they are an easy fix. However, horizontal cracks could mean structural instability. Whatever the case, StayDry is here for you. With over 100 years of combined experience, our experts know how to waterproof your home. At StayDry, we don’t cut corners. If your windows and doors are hard to open, your foundation could be settling and there are likely cracks in your walls. Unlike other basement waterproofers, StayDry uses high-pressure polyurethane injection to seal cracks for a guaranteed lifetime. This prevents the cracks from expanding and letting water through your walls. Call 800-800-7073 for an obligation free consultation today. If you’ve recently moved into a new home and aren’t sure of the structural strength of your foundation, our experts will advise you how to keep your basement water free. We also offer extensive preemptive services such as steel brace reinforcement and exterior waterproofing. 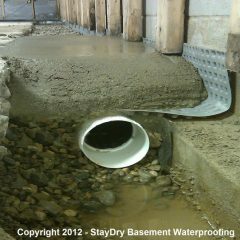 Read more to find out about the most common basement waterproofing problems. 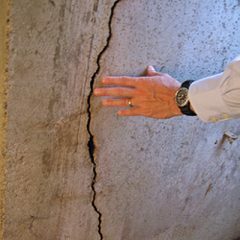 Wall and foundation cracks are some of the most common waterproofing problems because they occur when a foundation naturally settles. 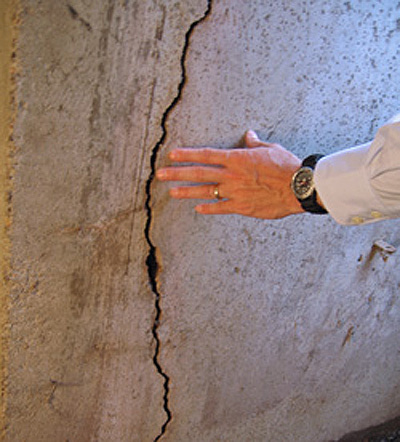 Sometimes your walls can crack as a result of high humidity or extreme weather. Whatever the case, StayDry will inspect and repair any basement crack. We recommend setting an appointment for an obligation free consultation so that our experts can evaluate if anything needs to be done to keep your basement water free. 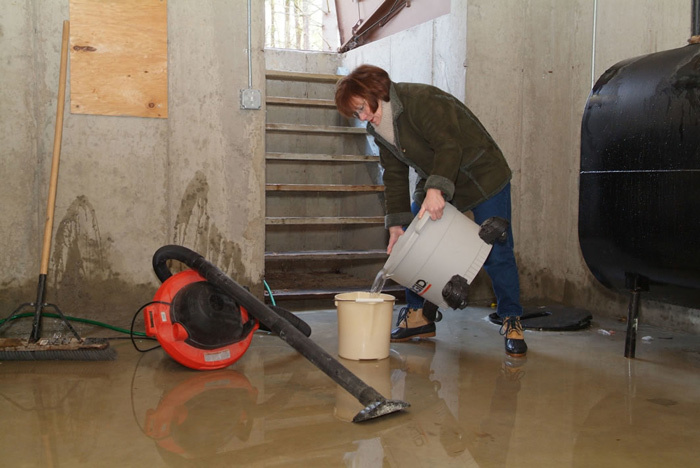 Sump pumps remove water from the basin that collects excess water from around your home. If they fail, your basement could flood. The quality of your sump pump matters, and calling StayDry today will ensure that next time it rains, water doesn’t enter your house. 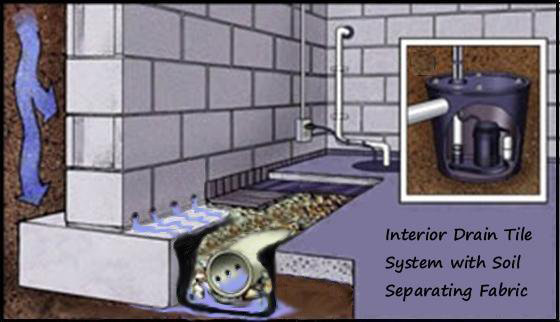 Our PumpSpy sump pump prevents any damage resulting from failed sump pumps. The PumpSpy comes with an extra battery case, a backup pump and extra float sensors. Call today to ensure that water doesn’t enter your basement! Heavy rain and snow can soften the soil around your home, causing it to expand and shift. Not only can this cause basement cracking, but it can leave excess water around your home. 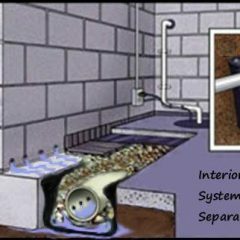 Failure to drain this water can lead to basement flooding. StayDry offers a premium French drain system that collects water in the perimeter around your home and moves it away from your foundation. We install French drains by removing the concrete from the basement floor and digging a large trench. Then, we reinstall the install the drain and put in new concrete. Homeowners can rest assured that water will not collect in their basements. Installing a French drain and sump pump is one of the best ways to waterproof basements. Call today to set up an appointment. Basement flooding can be a real problem in Lansing, Michigan. The aforementioned structural damages and mold growth can present both dangers and health effects to those living inside the home, not to mention the damage any possessions stored in your basement will suffer. In short, preventing water entry before it occurs, rather than repairing its damages, is always recommended. Repairing these damages is typically expensive, time consuming, and inconvenient. Plus, we offer lifetime warranties on all of our interior waterproofing services, ensuring your Lansing home will be protected when floods occur. If your home is at risk for flooding, waterproofing is essential. 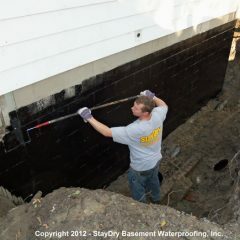 Here at StayDry, we offer high-quality waterproofing services to everyone in the greater Lansing area. You can contact us here or call us at 800-800-7073 for your free quote! Stay dry waterproofs basements the right way! I'm happy with their quality of work and custermer service. I'd call them if you want the job done right. Thanks Stay Dry!